The biggest and hottest rumour doing rounds on the net and social media today is about the world’s biggest social media network secretly working on a smartphone. The story was broken by Tech Crunch who claim an inside source within Facebook “who has knowledge of the project.” The report claims that Facebook is building the software for the phone and working with a third party to build the hardware. Two high level Facebook employees –Joe Hewitt and Matthew Papakipos – are said to be secretly working on the project, which is unknown even to most Facebook staff. Both have deep operating system experience according to Tech Crunch’s report. The story, which originated in Techcrunch, is not accurate. Facebook is not building a phone. Our approach has always been to make phones and apps more social. Current projects include everything from an HTML5 version of the site to apps on major platforms to full Connect support with SDKs to deeper integrations with some manufacturers. Our view is that almost all experiences would be better if they were social, so integrating deeply into existing platforms and operating systems is a good way to enable this. For an example, check out Connect for iPhone and the integration we have with contact syncing through our iPhone app. 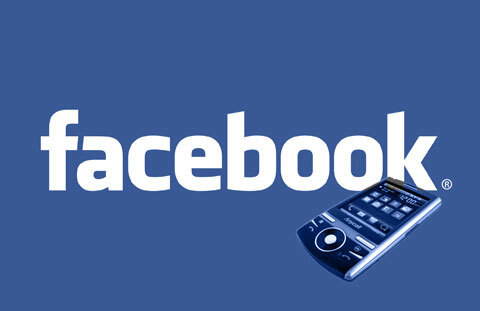 Another example is the INQ1 phone with Facebook integration (the first so-called ‘Facebook Phone’). The people mentioned in the story are working on these projects. The bottom line is that whenever we work on a deep integration, people want to call it a ‘Facebook Phone’ because that’s such an attractive soundbite, but building phones is just not what we do. So, this denial is something which can be taken with a pinch of salt as it would hardly be a surprise if Facebook indeed comes out with a smartphone or even a simple phone device in the near future. They have a huge user base and if they come up with a device more affordable than the current ones, with new innovative features like calling Facebook friends with their names instead of long numbers, they can have a winner on their hands. Is Social Networking the New Google? ‘Google Me’ The New Facebook Competitor? Can Zuckerberg Lose 84% of Facebook Shares?